Bitcoin is sometimes cited as a potential competitor to leading payments processing service VISA. 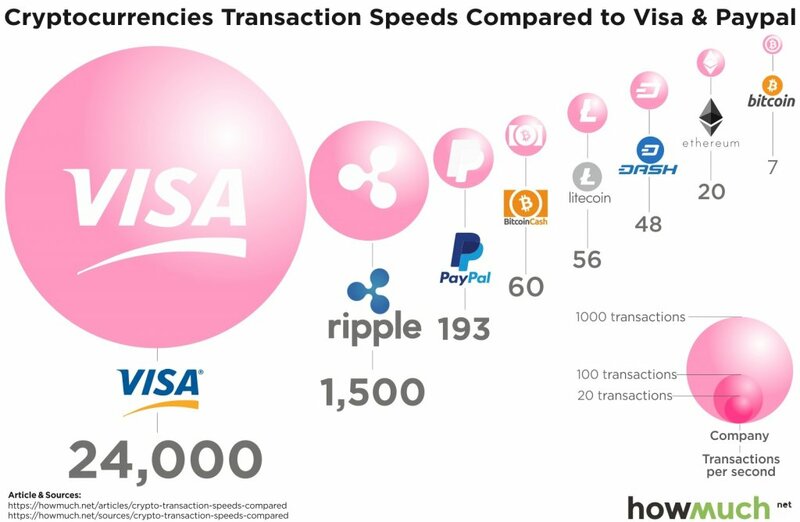 However, data from the Bitcoin blockchain suggests the network has a long way to go before it can match the convenience, speed, and cost of VISA. According to its annual report, VISA processed over 120 billion transactions in 2018 which moved $11.2 trillion. Worldwide, there are 3.3 billion VISA cards in circulation on a network that boasts 65,000 transactions per second in capacity. From these payments, VISA extracted $26 billion in gross revenue in fees and licensing. That’s a fee of $0.22 per transactions or 0.23 percent of every dollar moved. Based on figures from the US Federal Reserve, credit cards are used roughly 20 billion times a year with users spending a total of $1.9 trillion. Based on the number of transactions and the total spent, the average transaction is $88. Meanwhile, in the last year, there were 88 million confirmed Bitcoin transactions with $264 billion in value transacted over the network. These transactions cost $57 million in fees, averaging $0.64 per transaction—roughly three times the cost of VISA transactions. However, the above figure does not include the implicit cost of inflation from mining block rewards. 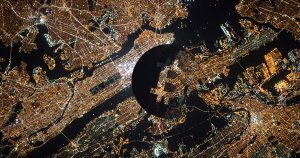 The overhead of maintaining the proof-of-work network, which secures the network against double-spends and 51 percent attacks, is a cost borne by all bitcoin holders. Miners grossed $4 billion in block rewards and fees, meaning the true cost per transaction on the network is over $45. This cost is often imperceptible because of the volatility of BTC prices and the growing user base of investors. The high cost of maintaining the proof-of-work network poses a serious risk when the block reward halves on (roughly) May 23rd, 2020. In such a circumstance, either the total hash rate of the network will decrease because mining is less profitable—decreasing the security of the network—or fees will increase substantially to compensate. Expressed as a percentage, the fee to send one dollar over the Bitcoin network costs an average of 1.5 percent (spread out over all bitcoin holders). Compared to VISA, transaction sizes using bitcoin are much larger, likely as a function of higher fixed-rate fees. In 2018, the median transaction value on the Bitcoin network is roughly $300 while the mean transaction value is $3,000. Furthermore, at minimum bitcoin transactions require at least 5 confirmations to complete unless a centralized third-party solution is used. This means transactions can take anywhere from a few minutes to over an hour to complete, depending on the method. VISA transactions can be completed, from the user’s perspective, within seconds. Bitcoin currently has a block size limit of 2 MB. Over 2018, each block contained an average of 1,670 transactions and consumed an average of 0.9 MB of the 2 MB block maximum. Thus, at most, each block could contain 3,670 transactions. Given that blocks are mined at random intervals every 10 minutes, this would give the bitcoin network throughput of, at most, 6.1 transactions per second. Thus, the network would need to see over a 10,000-fold improvement to match VISA. Given the limitations of the Bitcoin network, it seems unlikely that the cryptocurrency will become a medium-of-exchange unless there are monumental improvements from layer 2 solutions such as Lightning Network. That said, there are other payment cryptocurrencies such as Ripple’s XRP, Bitcoin Cash, Stellar Lumens, Dash, and others which could conceivably scale to become cost-effective mediums-of-exchange.